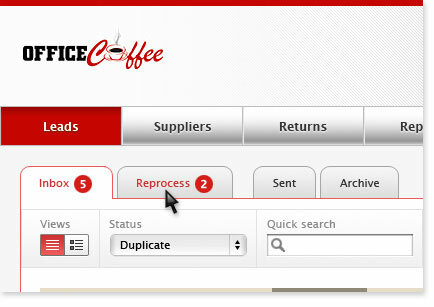 Building on a multi-year relationship with Service Leads we were asked to do the research, design and interface coding for version 2 of their leads processing system. We followed out usual process of research, design and coding. It's a lot services but this is exactly what we do. connecting everything to the backend database. 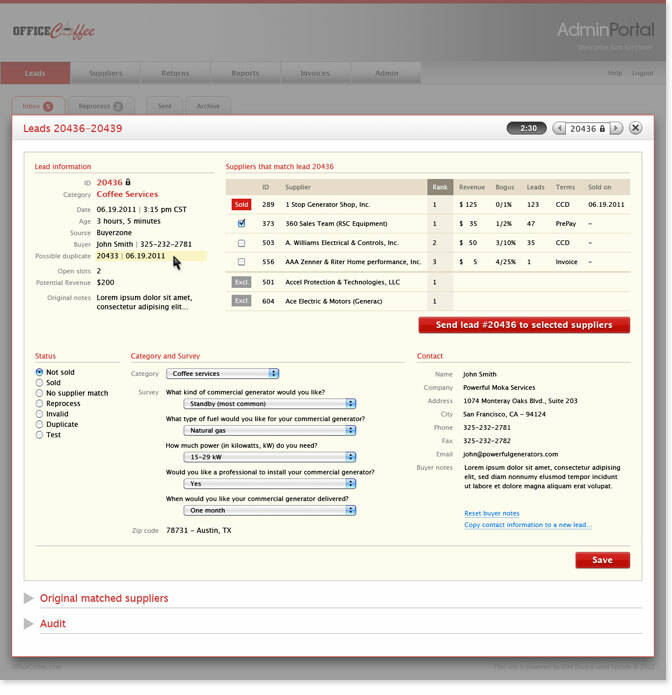 On this page you can see screen shots from the system including the main list of leads and the primary leads processing interface designed for phone based real-time interaction with clients. 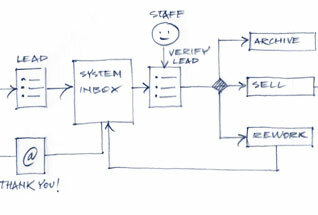 Detail of a leads processing workflow research sketch. Detail of the primary lead list. 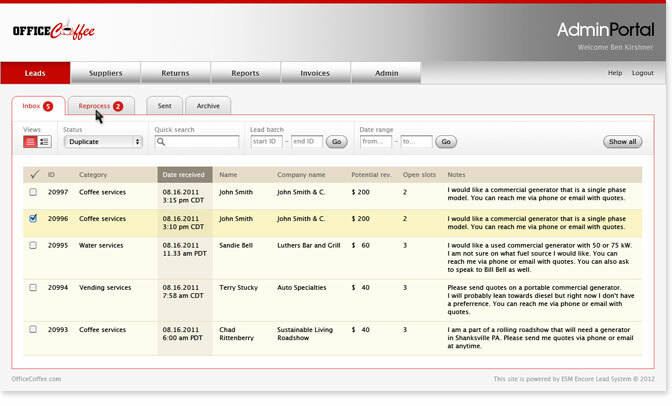 Primary lead list with a custom look and feel.